Back in May, the week after Holly turned two, I decided to make some changes. I was planning clothes that I would need to buy for a trip to the USA with work in a few weeks and realised that I was going to need to buy new jeans - my current ones didn't really fit any more. I blamed the waistline issues on the previous time that I had been to the States in February and resolved to lose a few pounds before my forthcoming trip. 4 months on and I have lost nearly 2 stone through a combination of a massive reduction in the amount of processed carbohydrates I was eating, a significant reduction in alcohol consumption and, most importantly, I have started to run. This week I'm joining a team of 10 bloggers who, while none of us have ever run much before, we all plan to be able to run 10 miles in 10 months time. It's called Team Challenge 10 and you can find out more about it on twitter using the hashtag #TeamChallenge10. I started running in late June (having found that my change in diet lead to increased energy levels) using the Couch to 5k plan from the NHS. Until this point, the last time I had chosen to run anywhere was approximately 19 years ago and to be honest, I was finding it hard simply running after Holly or Lara as far as the end of my road. During the first week of C25k I was pleasantly surprised with how well I was getting through things. I was ready to take on weeks 2 and 3 when I started to suffer with knee problems. I was advised to take a week or two off for recovery and it would have been very easy for me to have abandoned the plan completely but I took that time to buy myself some shiny new running shoes (after having had a gait analysis to make sure I had the right type and wouldn't cause myself more injuries). I got back on the wagon and worked on through the C25k plan until the end of week 7. By this time you are running around 25-28 minutes continuously but I was feeling confident enough to push it up all the way to 35-37 minutes and was able to complete 5k with a bit of huffing and wheezing. I'm not sure "running" is the term I would use for me yet... more like "jogging" or "walking with a lollop" but it'll do. At the end of week 7 I completed my first ever Parkrun with a new-found running friend (discovered as a friend of a friend on facebook!). It was hard but I completed it in 35:10. Saturday mornings are normally packed full of swimming lessons and potentially even Rainbows this term so I'm not sure how much of a regular occurrence Parkrun will be. 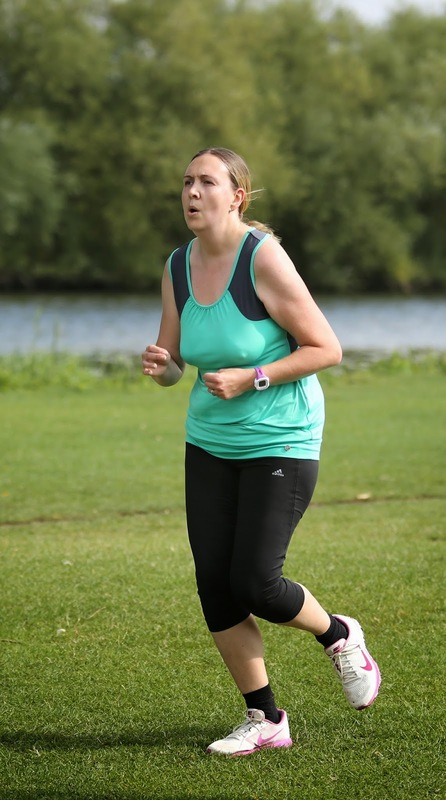 After my first Parkrun I signed up for my first ever 5k race. So, here we are in September and I have two weeks until my first race. It is going to be a muddy, woodland and field route quite unlike anything I've run before. I've been out of practice again for just over a week due to having twisted my ankle while walking on my holidays so I need to get out there and prep. 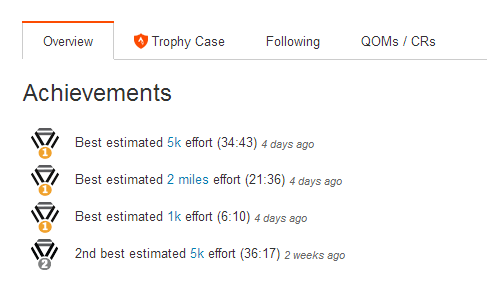 Once I've got over my first race then I'm going to take a more serious look at the plan I will need if I am going to increase my race distance from 5k all the way up to 10 miles by next June. It seems like an insurmountable challenge right now but I've found that with running, things that seem impossible one week may well be totally do-able the next. If you'd like to join me in the challenge, feel free to tweet along, share your stories on my facebook page or hook up with me on Strava so that we can give each other a boost. Good luck everyone.